1. Mineral Gold-Mine. This concoction is loaded with calcium, magnesium, and phosphorus, alongside gelatin, collagen, and many essential amino acids. What’s best is that they are all easily absorbed by the body, which isn’t always the case with other healthful foods. Think of it as a winter health tonic. 2. Gut Soothing. The dense mineral content of bone broth is supportive for the entire body, but it also improves digestion. The high quantity of gelatin and collagen can help to soothe and heal leaky gut. Additionally, amino acid glutamine acts to specifically protect the gut lining while also improving metabolism and muscle health. 3. Glowing Skin. 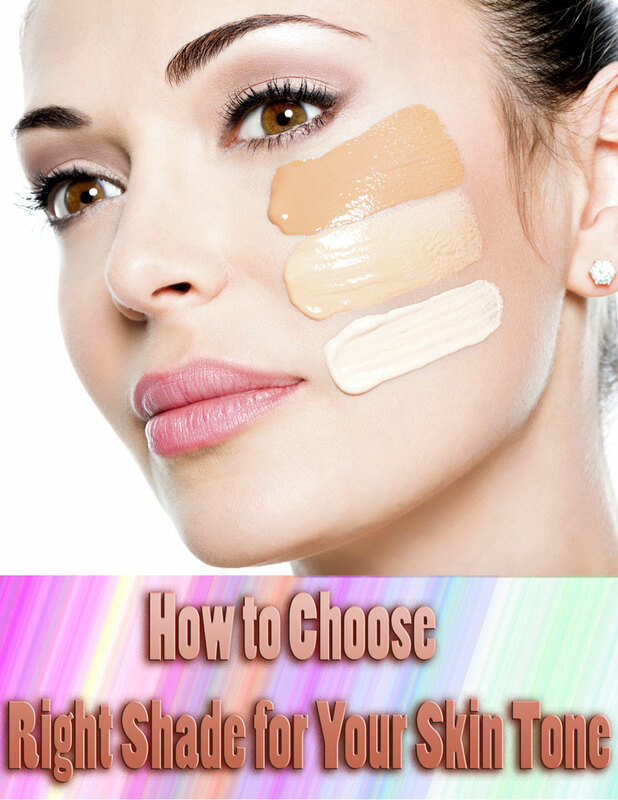 Fight off those wrinkles! With amino acids glycine and proline, bone broth supports youthful skin and elasticity. 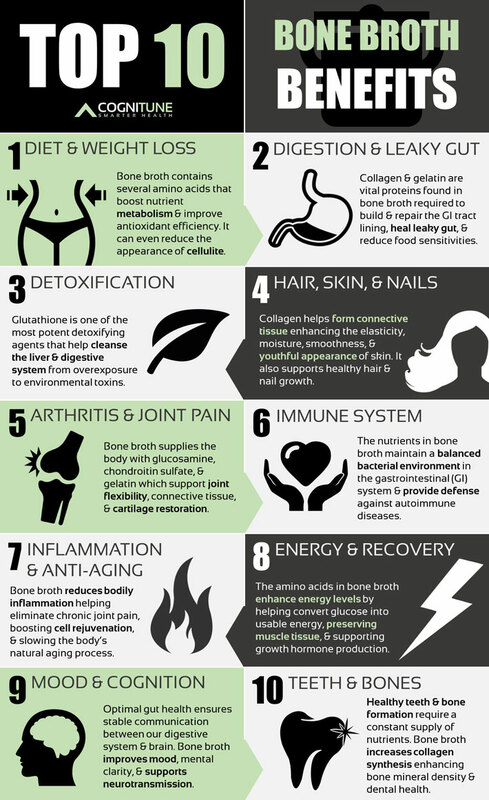 The high amounts of collagen present in bone broth can keep skin looking youthful and fight against unwelcome signs of aging like wrinkles, cellulite, and sagging skin. Collagen and gelatin also support healthy hair and nails. 4. Anti-inflammatory. Many elements in bone broth act as anti-inflammatory agents throughout your body. Glycine helps to detoxify the liver. Proline is essential for healthy bones, tendons, ligaments, and muscles. 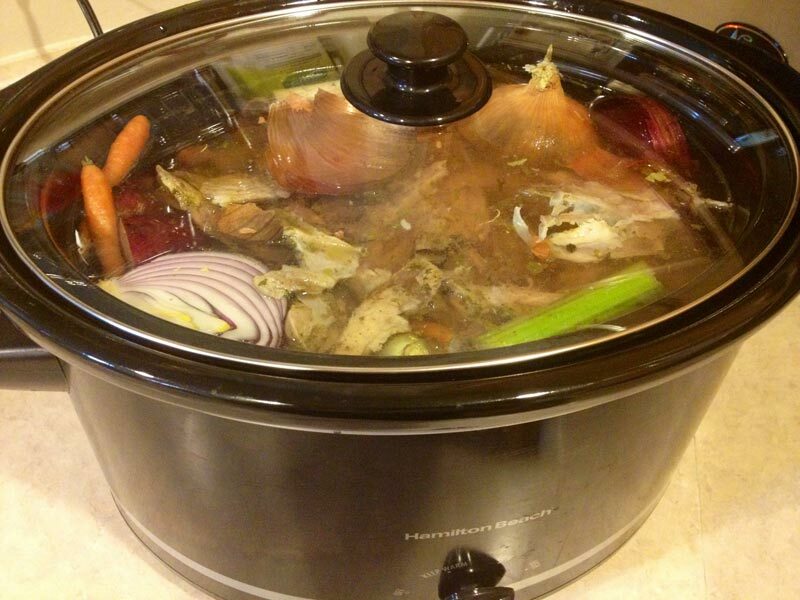 Especially if you suffer joint inflammation in the cold season, bone broth is an excellent remedy. 5. Immune Boost. There’s a reason why grandma’s soup always made you feel better. A study by the University of Nebraska was conducted to discover what in chicken soup was so beneficial for the immune system and illness. 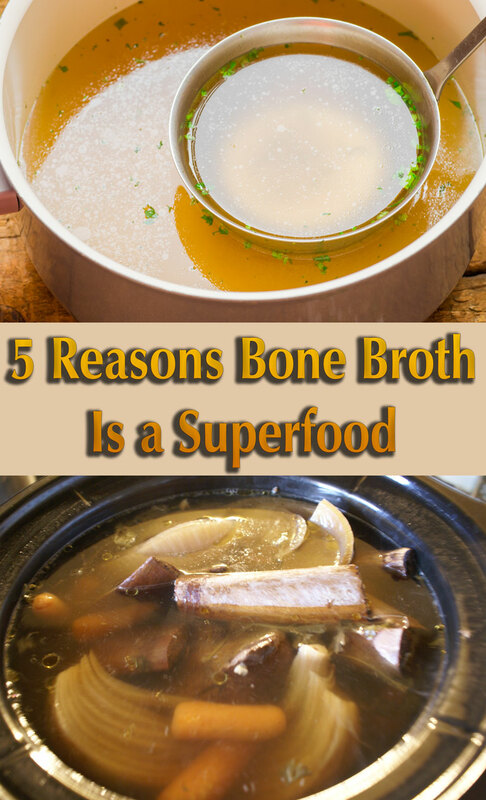 It turns out, components of slow-simmered stock/bone broth are anti-inflammatory to the respiratory system, thereby easing upper respiratory tract infections. Bone broth is also beneficial in treating adrenal fatigue due to its nourishing composition, and can act as a nourishing tonic to soothe the stresses of our modern lives and diets. 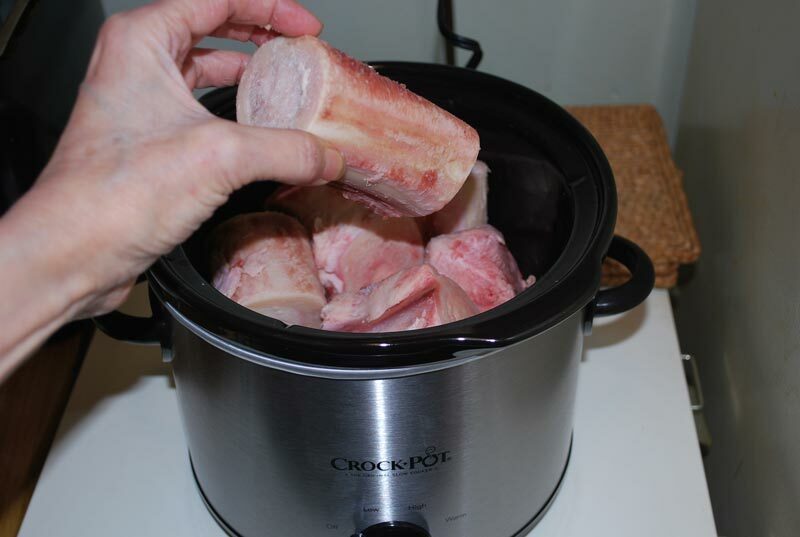 To make bone broth, simply simmer bones in a slow cooker alongside veggie scraps and 1-2 teaspoons apple cider vinegar (to assist in nutrient extraction). You can simmer as long or as little as you want, but generally 6-12 hours is a good place to start. The longer you simmer, the more gelatinous the broth will be when it cools. (Be sure to use pastured or well-raised animal bones, as they will offer the most healthful benefits.) 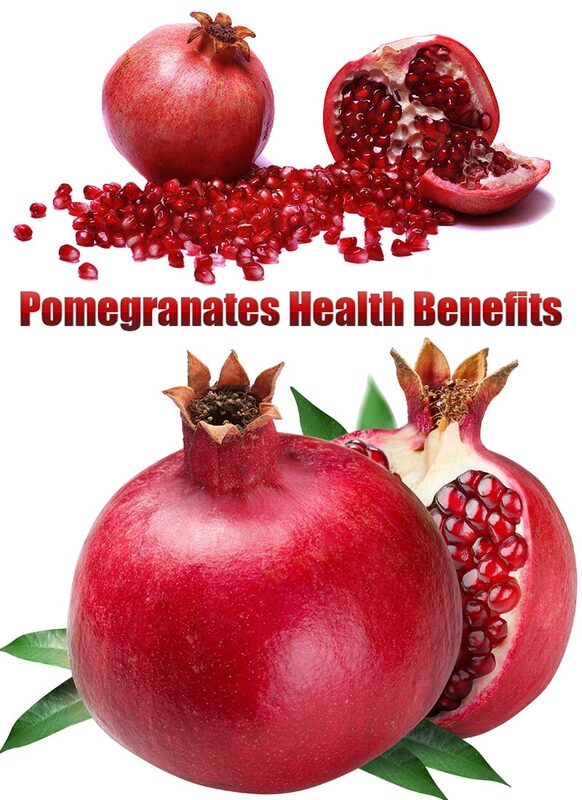 Drink it as a morning cup this winter and reap the benefits all winter! ← Are Frozen Foods Healthy?